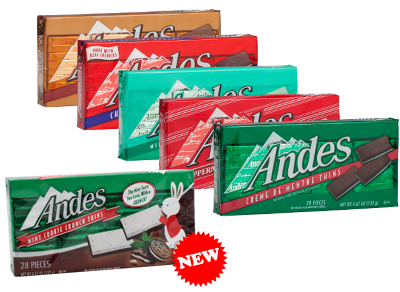 NOBODY does crème de menthe like Andes does...rectangular three-layered candy‚ green mint sandwiched between two thin chocolate layers. Try some today! 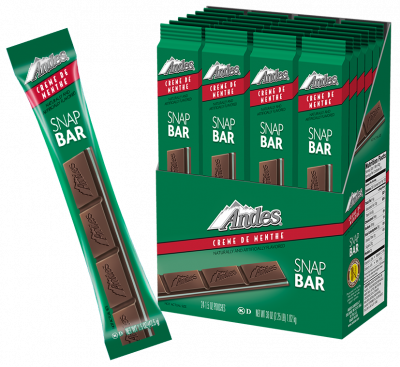 Andes Crème de Menthe, still America's favorite after dinner mint, delivers a smooth blend of mint and chocolate flavors for the perfect after dinner treat. Individually foil-wrapped, bite-sized pieces enhance parities and events while remaining a favorite self-indulgent personal treat. 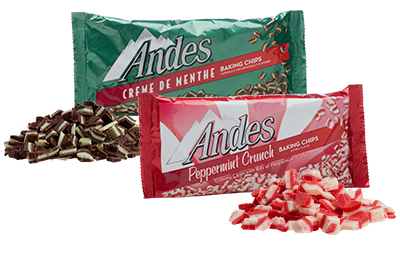 Andes Crème de Menthe Baking Chips and Peppermint Crunch Baking Chips offer the same great taste and three-layered designs as their full-sized snacking namesakes, and are ready for baking.